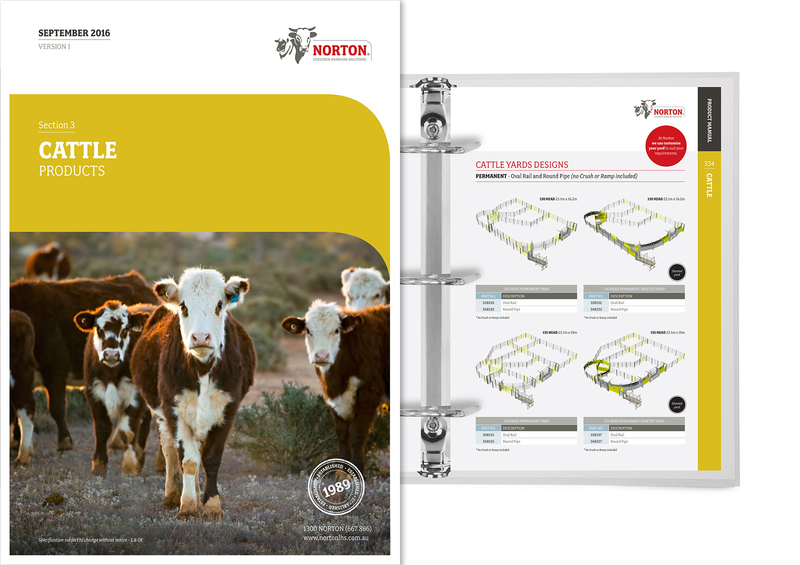 Client: Norton's is Australia's leading manufacturer and supplier of farm gates, gate hardware, livestock handling equipment and associated rural products into the animal farming sector. 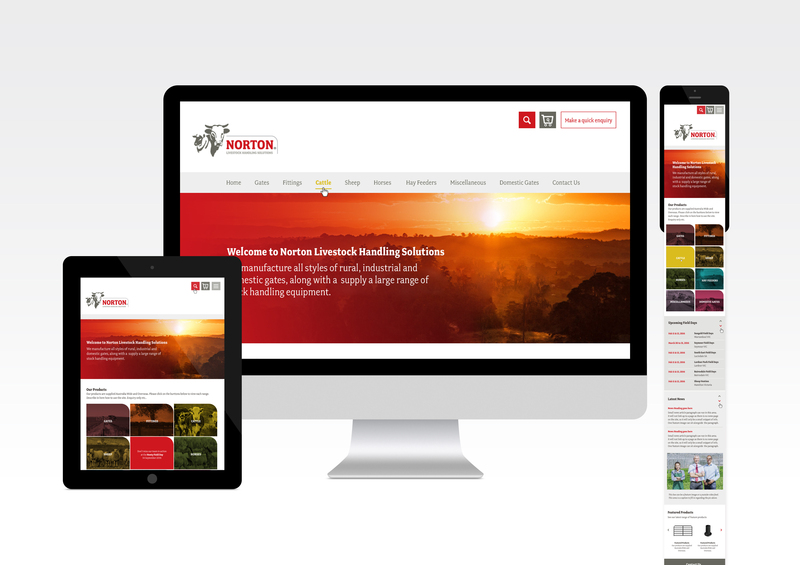 Norton's is a family owned business which has been established for 25 years. 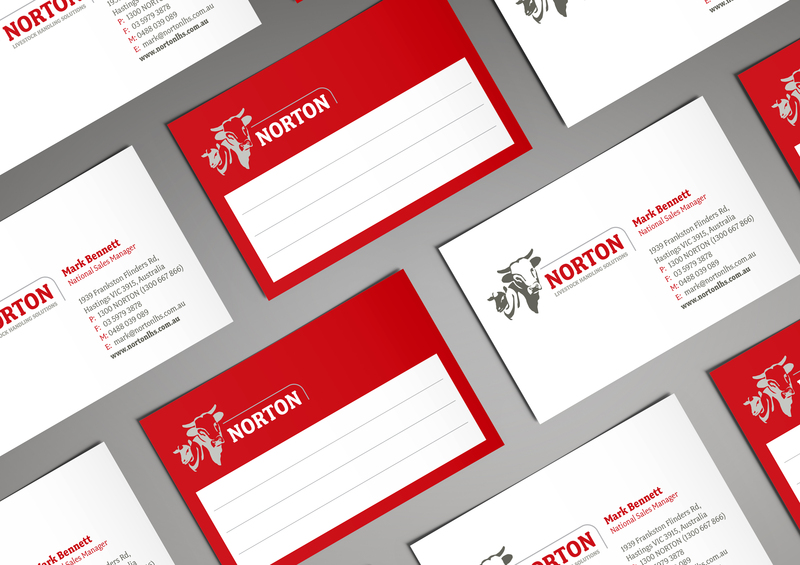 Brief: Since startup, Norton's has run with the same branding and was in need of a major brand upheaval. 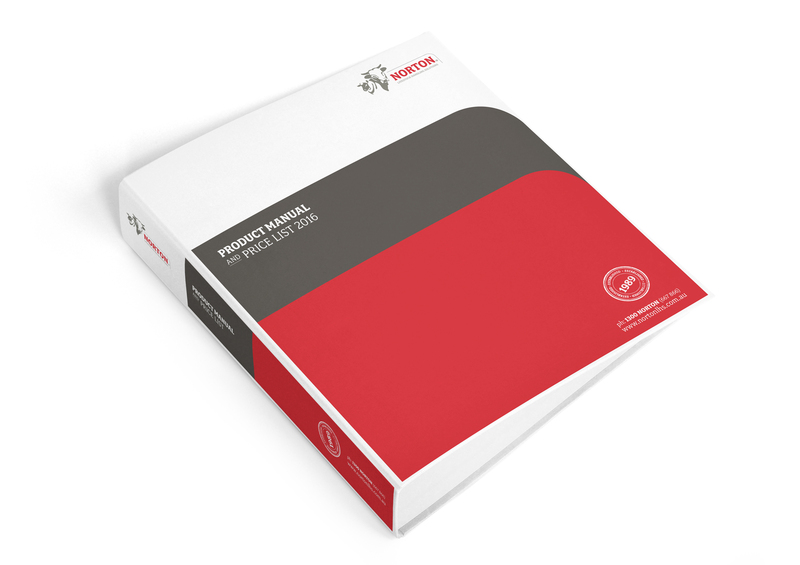 When redesigning the brand, it was essential that the key aspects of the old brand were maintained to preserve the equity they held; a strong red, a bulls head and a gate frame. Solution: With primary end users being farmers and rural retailers we ascertained that the 3 key brand traits which defined their personality were Aussie, Tough and Innovative. Based on these traits we modernised the old brand assets, applied bold, masculine typography and collated an earthy, aussie colour palette which is used to code and categorise products. Result: The new branding has been described as a ‘quantum leap’ forward for the company. 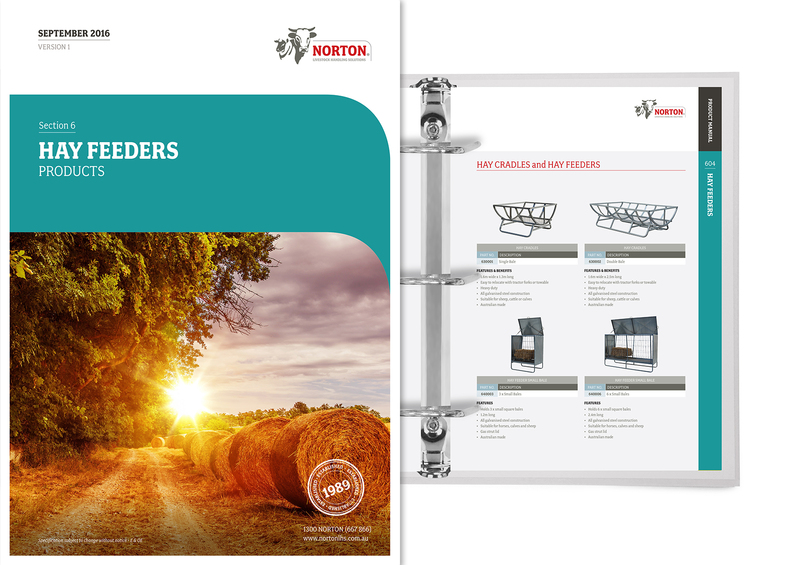 The new look catalogue and website has not only enhanced Norton's image, but has resulted in an influx of orders.